Doesn’t linger long but begs you to sip again. Elements 8 Platinum is adored for its fruit, grape, citrus and tropical fruits flavor notes. 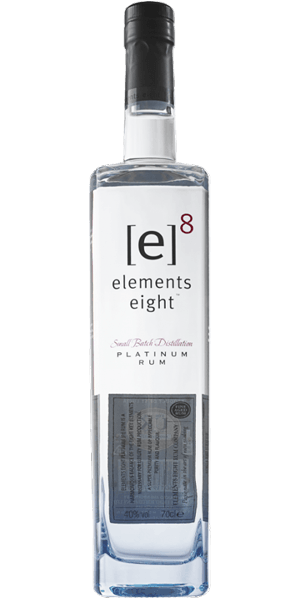 This Rum is carefully distilled at Elements 8 Rum distillery, Saint Lucia. Based on 17 votes, the average rating for Elements 8 Platinum is 8/10. — Loved this rum. Got it on a whim, now I can't find it anywhere. Best mojito ever. Loved this rum. Got it on a whim, now I can't find it anywhere. Best mojito ever.